a family which has been around for several generations and has its roots in the Arlberg region. Barbara Bishop manages the house in the second generation. “My job is my vocation – for more than thirty years now,” she says. Barbara’s father and grandfather once worked with horse and cart with which they brought guests and goods from the village of Langen am Arlberg to Lech. Later, the family started a taxi company and built the Hotel Formarin where you can find excellent dining by the way. The Landhaus Bischof is a family-run establishment. Barbara is there for you at any time; in order to give you insider tips for outdoor activities or to reserve a table for dinner – we want our guests to feel at home and not worry about anything. After all, it’s your best time of the year. 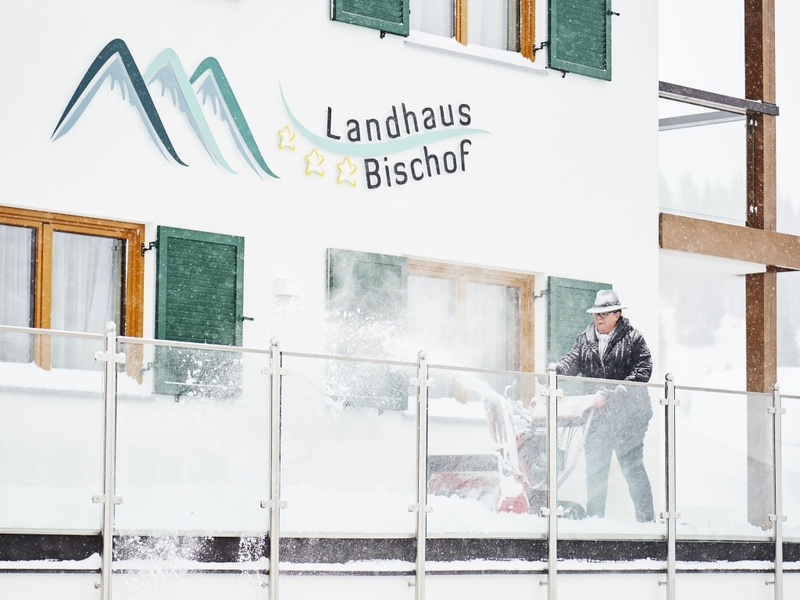 Older travelers and families in particular feel at home at Landhaus Bischof and appreciate the homely, personal atmosphere. Many regular guests show how satisfied our visitors are. Those, who have been staying in Landhaus Bischof over the years have eventually become friends. Some families have been visiting us for three generations.